The countryside surrounding Plainville is some of the most productive in the west central region of Kansas, earning the community the title "Queen City of Paradise Flats," bestowed decades earlier. The Paradise Flats name was derived from the fact it is a large level plain situated at the head of Paradise Creek, where buffalo, deer and antelope were once so plentiful it was given the name, "Hunters Paradise." Established in the late 1880's, landmarks and turn of the century architecture suggest a trace of French and German ancestry in Plainville. 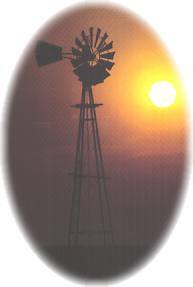 Our region's history can be reviewed at the Rooks County Historical Museum where our past is preserved for both present and future generations. Plainville citizens and visitors can enjoy four seasons and all the outdoor activity to go with them. Area lakes offer a myriad of water activities with lots of room to stretch for camping, hiking, biking and special seasonal events. The fishing will challenge most anglers and the waterfowl areas are excellent. If hunting is your choice of sport, Plainville is located in one of the best game producing areas in Kansas. A local lodge is available to accommodate your hunting needs. Leisure opportunities include museums, music, theatre, civic and garden clubs. The community park, together with an active recreation commission, provides an abundance of year-round activities for youth and adults. Cedar Links is a nine hole, semi private golf course and club that provides a challenge to the average golfer with plenty of cedar trees and water hazards on five of the nine holes. Wildlife such a Canada geese and beaver are common visitors to the lake on the course. The First Christian Church of Plainville was first dedicated in 1930, but services in the present structure didn't begin until 1937 when the upstairs was completed. Plainville Township Lake is not only a popular fishing spot, but is also the site of the cities annual July 4 fireworks display. Local and area people provide their own displays to compliment the program.